I know I’m writing this late but I had a birthday party today. Happy 3rd Birthday to my little cousin. 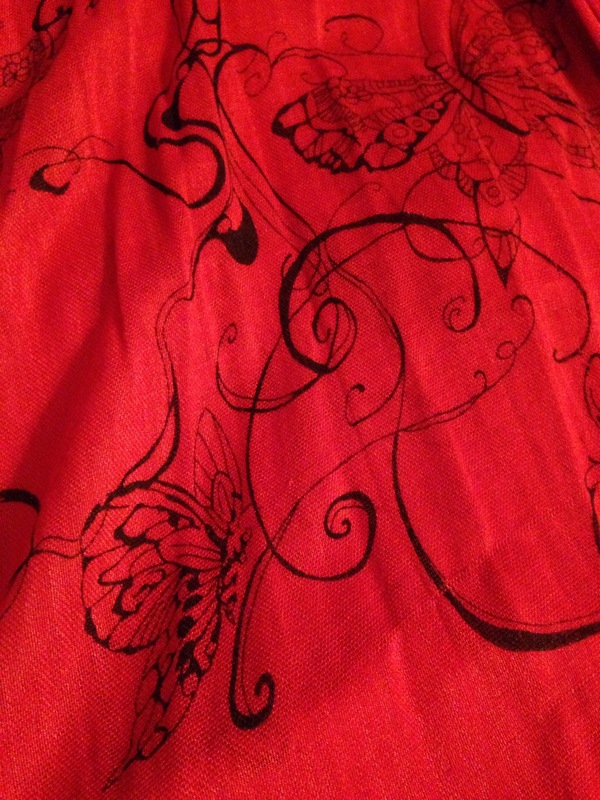 This scarf also has butterflies on it. It’s not covered with butterflies like my other one. This scarf has a nice ombré effect. Going from a peachy color to a deep orange. It’s a nice one and is very light. It brightens up these dreary days. We’re getting up to two inches of snow tonight!! Can you believe it’s snowing already?